When Europe was erecting sky-seeking sharp towers, Lithuanians fought in wars. The castles set from boulders found outdoors better served the purpose of defending from enemies than the elegant, tall and straight towers. The latter appeared after big fights when Christianity was introduced in Lithuania. Cities started building churches, town halls, guild houses and establishing the yards of merchants. The most beautiful and magnificent structures of that time can be seen on the island in the Lake Galvė, where Trakai Castle stands. Crowds of people admire the Church of St Anne in Vilnius and the Churches of Vytautas the Great and St Gertrude in Kaunas. 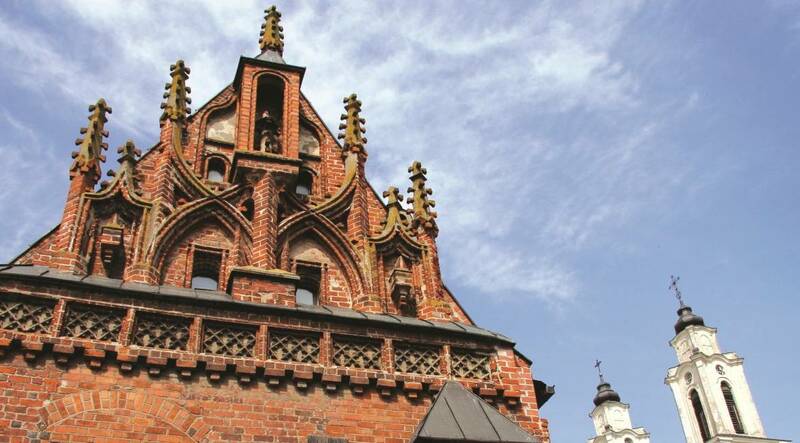 Lithuanian Gothic is slightly late, yet original and distinct, and it has laid a firm foundation for further development of architectural styles. 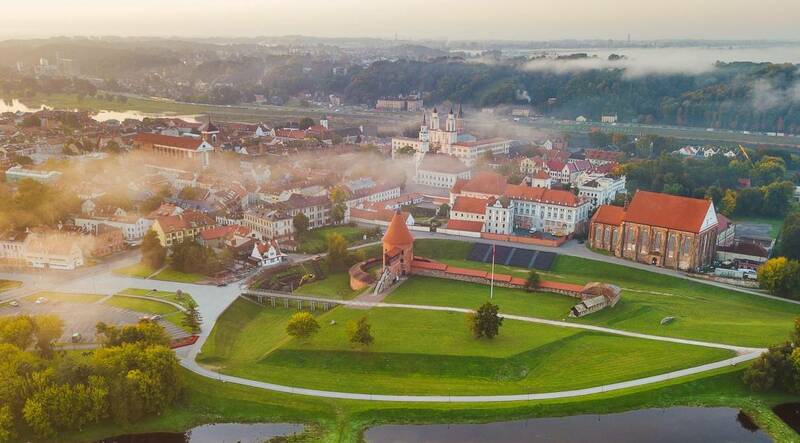 According to a beautiful legend, Vilnius has started with a castle on the hill. Lithuanian Grand Duke Gediminas saw a howling iron wolf in his dream that was later interpreted as the occurrence of a strong and unconquerable capital city. Thus a castle was built on the hill in late 13th century – early 14th century with the main purpose to defend the city from enemies. The wooden castle was burnt down during the fire of Vilnius in early 15th century. A tall defensive brick wall with three towers and a Gothic palace was rebuilt on the top of the hill. Only the remains of the palace can be seen today, together with the Western Tower overlooking the city of Vilnius from the skies. It offers a magnificent view to the city, the surrounding parks, wooded hills and the changing face of the present-day capital. We love telling the story of the French General and Emperor Napoleon Bonaparte marching through Vilnius and wishing to carry St Anne’s Church on his palm. Actually, his admiration did not prevent the soldiers from destroying and robbing the sanctuary. Yet the Church of St Anne, built in early 16th century, is the most splendid example of Lithuanian Gothic. Gothic is the queen of architecture of Pilies Street. The number of houses of this style in Vilnius Old Town is estimated to be 283. Many of them are rectangular, with their end overlooking the street. The entry is from the courtyard or the gateway. Gothic is even better revealed under the old Vilnius street – here it has been least affected by passing time. 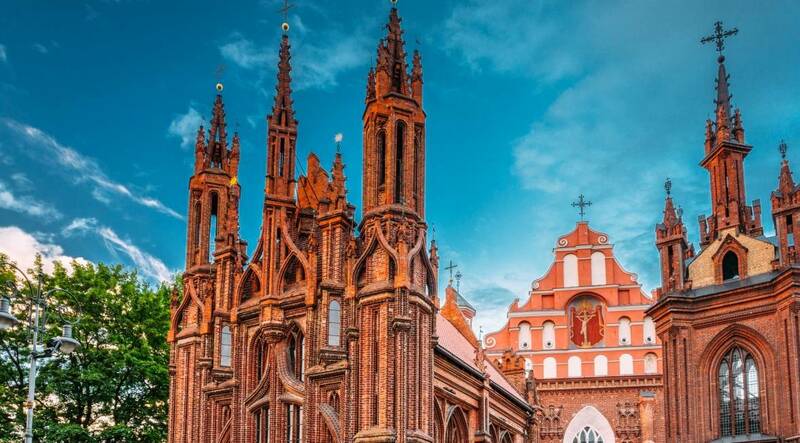 It is the most archaic church of early Gothic in Vilnius and the oldest Roman Catholic brick church in Lithuania. It is said to have been built by the Franciscan monks invited by Lithuanian Grand Duke Gediminas. Time has left its imprints in the church, which remind of late Gothic, late Baroque and even the gorgeous Rococo. The most beautiful and magnificent Gothic castle in Lithuania, a gorgeous residence of the Lithuanian Grand Duke, a place for pompous feasts, and even a prison for disobedient noblemen in early 16th century. 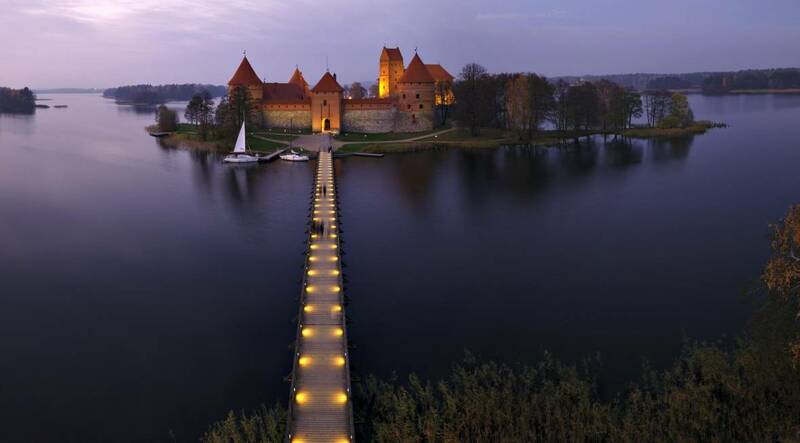 Trakai Island Castle, which was finished to be restored in late 20th century to recover its appearance of the 15th century, is one of the biggest spots of attraction both in summer and in winter. It is the only castle in Eastern Europe built on an island. You can reach the castle by walking along the 300 metres long wooden bridge. The castle houses the Museum of Trakai History, its visitors are fascinated by old frescoes, artistic stained-glass, secret passes and knight tournaments organised in the yard of the castle. 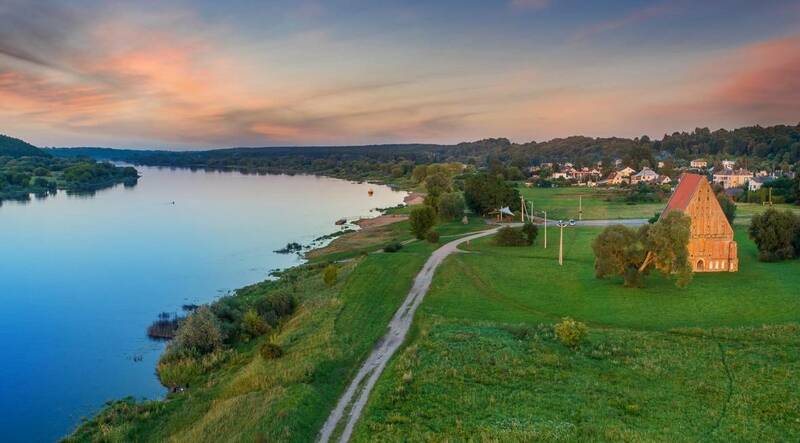 A red brick castle is situated in an extremely beautiful place, at the confluence of the Rivers Nemunas and Neris. 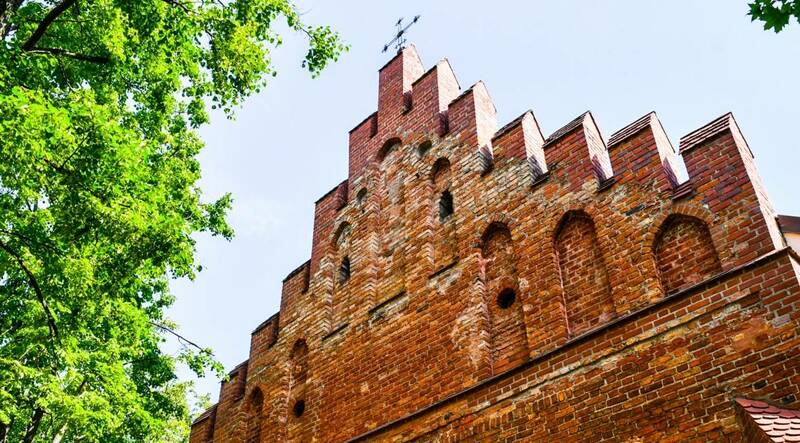 Historians consider that it is the oldest brick castle in Lithuania once known for its size, firmness and modernity – it was surrounded by two rows of defensive wall. The castle and its brave defenders blocked the pass for the crusaders to inner Lithuania, including Vilnius. 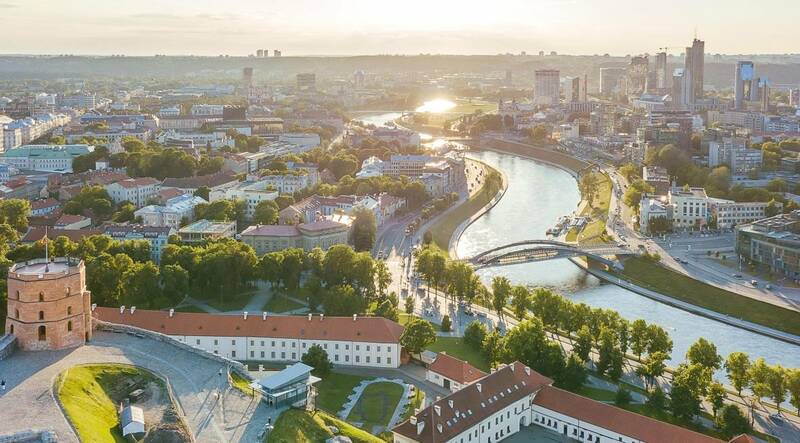 The city of Kaunas started with the castle, but today it is used for playing music, showing theatre performances and organising festivals rather than fighting. The branch of Kaunas City Museum is opened in the castle. The museum organises many educational programmes. 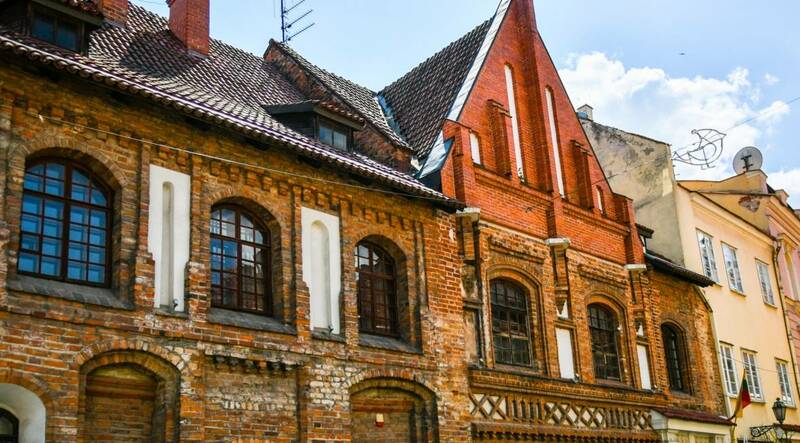 A house that preserves the spirit of Medieval Ages and Gothic in Kaunas is one of the most valuable late Gothic buildings in Lithuania. There is a nice legend about the small statue of God Perkūnas (the Thunderer) found in its walls, yet researchers state that the house built for trade by a wealthy city dweller acquired this name later. Today the House of Perkūnas belongs to the Jesuits, and educational programmes are organised in its impressive halls. 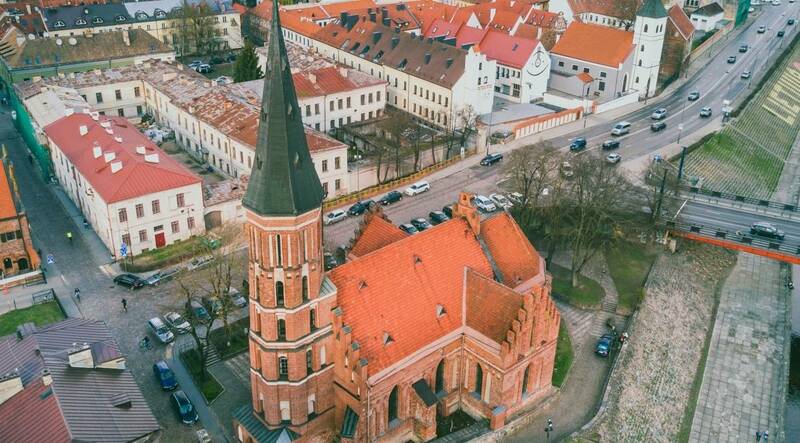 According to the legend, Lithuanian Grand Duke Vytautas gave the oldest Kaunas church to the city as a gift. Having been beaten and almost drowned in the river, the duke promised Virgin Mary to build a church on the river bank. Its tower, narrowing upwards, is well seen in the city, yet the Gothic interior has not remained – the temple has been devastated by wars and floods over centuries. Repairs and reconstructions have not destroyed the Gothic authenticity of the Church of St Gertrude. Hidden amongst tall structures, it preserves exceptional atmosphere and has been attracting people for over half a century. It stands alone in the valley of the River Nemunas. 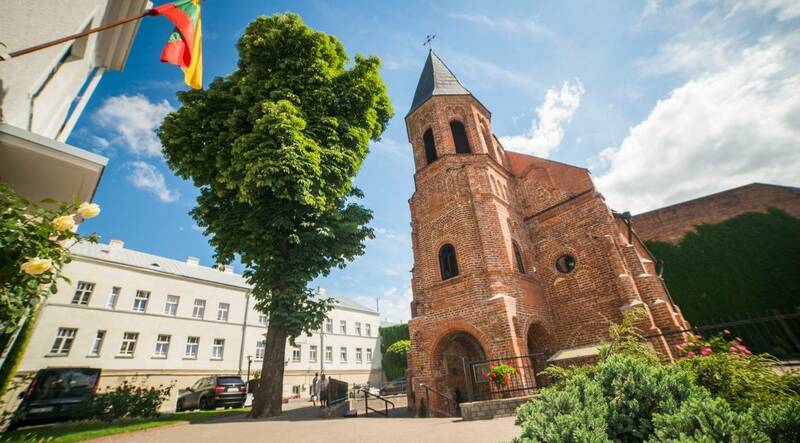 Devastated by wars and floods, today it more likely reminds of Lithuania’s history than serves its function – the service in Zapyškis is held in the new church with the same name, which has been built in the town. The authentic Gothic church situated in the middle of green meadows on the river bank is fancied by tourists and photographers; concerts and the traditional Kite Festival are organised here.